In the years 1984-1990, the Wildflower Run was far, far smaller than today. We had few corporate sponsors, with most Wildflower Fund monies coming from run registrations and individual donations. Annual fundraising income ranged from $1000 to $4500. Wildflower Run income and individual Morgan Hill branch member donations were used exclusively to underwrite national AAUW priorities. AAUW’s national priorities remained similar to those of today: graduate fellowships for women, pioneering research, public policy advocacy, legal advocacy, and leadership programs. While these national priorities were also important at a local level, and while money came back from the national organization to support local graduate students, we did not keep any money back to specifically support local scholarships or other local programming. 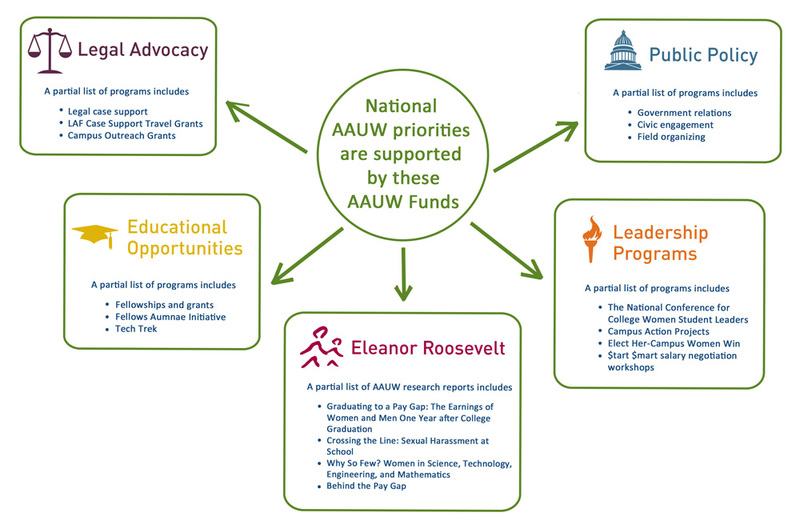 Learn more about national AAUW programming … work that we supported in 1984 and continue to support today.